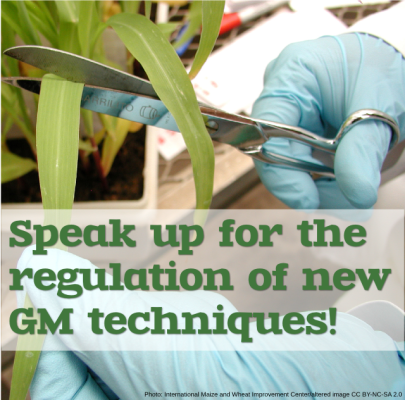 Speak up for the regulation of new GM techniques! The European Commission is about to decide whether or not a set of new genetic engineering techniques should be regulated as GM. Let them know why they should and why it matters to you. 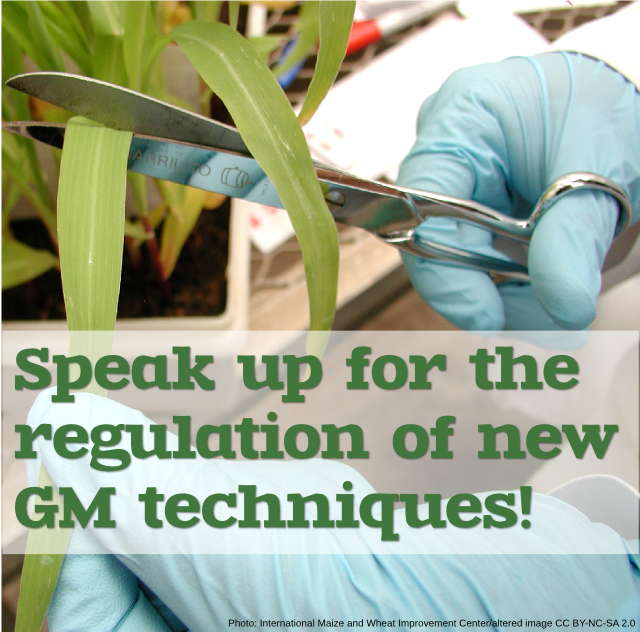 We’re supporting GM Freeze’s action to write to the European Commissioner for Health and Food Safety, to let him know that European citizens are concerned and want to see the ‘New Plant Breeding Techniques‘ (NBTs) properly regulated. You can participate in it here. For more information and background on this issue, you can read a great article here, and download a detailed briefing here.